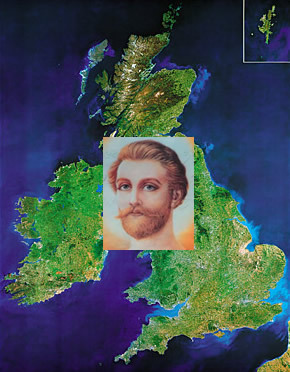 The British Isles¹ have long been the sacred ground upon which the Ascended Masters, during Their incarnations even before Their Ascension, began setting forth Their Ideas and practical Plans in preparation for a Dawning Golden Age for the world. The archetypal myths and legends surrounding Camelot and the Holy Grail, El Morya’s (as Thomas More) book, Utopia, and Saint Germain’s (as Francis Bacon) New Atlantis, and other works, not least Bacon’s close association with the Shakespearean Plays and Sonnets – are just a few examples of Their Vision and hopes for a new future. With the coming of the Ascended Masters’ more direct sponsorship of Activities over recent centuries, the British Isles has garnered a rich heritage of direct statements about the nation’s destiny, which is interlocked with the future of America, of Continental Europe, and also of Africa and the Middle East. Since many of these statements are momentous, and also pertain very much to the present time, students of the Masters – British, Irish, European, or from any land – may find them fascinating, as well as inspirational to their lives. The Masters have set forth a clear Blueprint and Vision for the British Isles (and her close neighbours in Europe) and for those of us who are Their students and disciples, it is important that we not only study Their Words, but distil that Vision and make it our own, so that we may begin to take the practical steps to bring it into physical reality in our lives – individually and collectively. Many important Dispensations have been granted and placed in our trust, especially over recent years, which need to be actively kept alive and nourished. And so, we present here a summary record and overview of the Ascended Masters’ Teachings about the British Isles, and of the Their modern-day interactions with these lands - for posterity and for the present day. The first more formal association of the Masters with the British Isles goes back to Their first public organisation, The Theosophical Society, formed in New York in 1875. Many of the Masters’ followers then were British, living either in India or Britain itself. Their amanuensis, Helena Petrovna Blavatsky, spent her final days in London, and there are many recorded physical meetings of disciples with the Masters in Britain during her days. While extremely ill, Blavatsky travelled to England to complete her masterpiece, The Secret Doctrine (1888), overshadowed and inspired upon her by the Masters El Morya, Kuthumi and Djwal Kul (who were then unascended Adepts). She passed on from 19 Avenue Road, St Johns Wood, London, on May 8, 1891. The very Words of the Masters Themselves in the form of ‘precipitated’ Letters to Englishman A.P. Sinnett (‘precipitated’ because the Letters usually appeared by telekinetic means such as falling from the air, or being found beneath pillows), were later published as a book². These actual original Letters from the Masters are still housed and can be viewed by appointment to this day in the British Library, London. These Letters from El Morya and Kuthumi are detailed replies to Sinnett’s questions about Cosmic Law, and formed much of the initial Theosophical canon of Teachings to humanity from the Masters. There has been a lineage of authentic Activities (organisations) formed and sponsored by the Ascended Masters, all Activities having had students in Britain. After Theosophy, globally there were two major Activities through which the Ascended Masters worked: The “I AM” Activity, which began in the USA in the 1930s, and The Bridge to Freedom, which spanned the decade of the 1950s and was centred in the USA. To our best knowledge the record of these Activities within the British Isles seems to have been minimal with no known record of the Messengers of either Activity visiting the Isles. The “I AM” Activity certainly had some students there, and so did The Bridge to Freedom, as in a Dictation in 1953, through Messenger Geraldine Innocente, El Morya made reference to “beloved students in the British Isles” and also to the Etheric City over Glastonbury³. Following The Bridge to Freedom, in 1958 beloved El Morya, through His Messenger Mark L. Prophet, formed The Summit Lighthouse, centred in the USA. 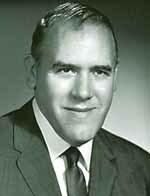 In 1961 Mark Prophet married Elizabeth Clare Wulf, who also became a Messenger for the Masters in that Activity. Mark and Elizabeth Prophet, visited Britain¹ and Europe at least once – the first time in 1968. An American student of the time, Annice Booth, accompanied them, and told later of literal miracles Mark worked when their trip was faced with ‘opposition’. It appears no Dictations were given. Their visit around the Isles was to anchor ‘focuses of Light’ in various places, for the future. However, in 1988 we were contacted by an English lady who told us Mark had visited her then, and anointed her a ‘Lady of The Flame’. In August 1977, the first English person became a Keeper of the Flame - a formal member of the international organisation of The Summit Lighthouse. Others gradually joined, and the first study group was then established in London in Spring 1979. Within weeks, two decree services weekly were established (one open to the public), as were weekly lectures with introductory decrees. The date is interesting, as the Ascended Masters began mentioning the Isles from that very year. From January 14, 1979, Archangel Gabriel had announced the need for “Mission Amethyst Jewel”: the coming-together of students to live together at Community Teaching Centres. As students would come together they would form clusters of “amethyst jewels” that become the new Study Groups and larger Teaching Centres around the world. The students themselves are the violet-flame jewel, he said⁴. Within that year large groups (live-in Teaching Centres) began forming in the United States, in the major cities. In 1980 British students journeyed to the U.S. Headquarters of the organisation, and in conjunction with American students planned a successful major lecture-tour of many British and Irish cities which kick-started a much larger organisation within the Isles. Then, on Christmas Eve, 1980, a London student offered for free, a much-needed and wonderful five-floor property in the heart of this important capital city. Accepting this gift necessitated the forming of The Summit Lighthouse (UK) as a national religious charity in 1981. This property immediately became the Teaching Centre and national base from early 1981 through to 1990, wherein people lived, decreed daily together, engaged in weekly outreach, and studied in heartfelt communion. And for a decade it was possible to hold quarterly conferences and seminars there (the Teachings on audio- or video-cassette) to which students from all over the Isles could gather for long weekends. The London Teaching Centre became the focus for much daily planning on behalf of the nation, the launching-point from which several major lecture tours of up to six weeks around the Isles went forth, book-sales tours, and many other activities. Over time, as students moved to London in order to be more involved in the activities around the Teaching Centre, several satellite ‘student (chela) houses’ were also established. A physical focus such as this becomes a magnet to which others in the nation move – as we see in the USA today regarding Tucson. Without this London community and coming-together, far less would have been accomplished. Several other noteworthy study groups also existed in other major cities of the Isles. And by 1981 other European nations had sizeable Groups who decreed together daily. A very swift flourishing in the number of students occurred Europe-wide at this time. Saint Germain has a long association with Britain, having been embodied here as St. Alban, as Merlin the mystic of legend, the philosopher-scientist Roger Bacon, and in his final embodiment as Sir Francis Bacon. He was also known as Le Comte de Saint Germain, ‘The Wonderman of Europe’ in the 18(th) and 19(th) centuries, when he worked behind the scenes to try to establish a United States of Europe. And now he comes to us as The Chohan of the Seventh Ray and Hierarch of the Dawning Golden Age. “Therefore, I say, I take that light of this dispensation and I give to Europe, with the archangels, my causal body, my Presence, and my Purple Fiery Heart now for an era, now for an opportunity to return to the Light, to unite—not on the basis of selfish economic interests! After all, are these the only things that will unite people in the hour of their greed? Can they not rise to sacrifice and unite upon the basis of the Mighty I AM Presence! The first-ever Conference in Europe, from any Ascended Master Activity, took place in July, 1981, at Ellecom, Holland. By this time groups of students had gathered together not only in the Isles, but in Holland, Sweden, and other nations, and their numbers were swiftly multiplying. 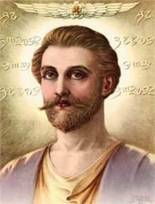 The Ascended Master Lanello and Beloved Saint Germain dictated. The context of the times, in 1981, is important to understand. These were more dangerous times than now, for it was during the Cold War, and the Soviet Union was seen as a real threat. Invasion of Europe was quite conceivable. This was therefore an underlying theme of Saint Germain’s Dictation. Secondly, students in Europe had all found the Teachings in large numbers very quickly. Students present, from all the European nations, were quite new, having been involved for only one or two years, or even months, or just weeks. Such new students were rough diamonds, and within months some rivalry was evident between the European nations. The Master therefore addressed this sense of separation and for the need for Union (which came to exist beautifully in a cooperative spirit after that very day). He was not speaking of national boundaries, He said, which indicate different karmic peoples, but He spoke against the spirit of division. Thirdly, He also stressed the need for training, including formal training in outreach and in running Centres, at the U.S. International Headquarters, where three-month sessions were held. “I come, not for these alone but for the spirit of an age and for the child of my heart. My voice has not been heard upon this continent for well-nigh a century and more, for in this physical octave my messenger has not gone before my face to deliver my Word until the hour of your coming…. “I say, forces of freedom in Europe, rally! Rally around the banner of freedom and recognize that the Aquarian age and the great wave of Almighty God is come upon you! “O Britannia, hear our call and now rise up to the Word of God!... O Keepers of the Flame in Ireland and in England, Scotland, and Wales, I appeal to you to mount with a fervor and a holy light for the saving of the souls who themselves will play a role in the deliverance of the European continent…. “Do you suppose that we propose to save Europe with this ragged band of devotees, this motley crew? I say, Nay and Yea! For we propose to summon you to your highest Self – to mold you, to meld you into one flaming banner of the World Mother, to make you one mighty heart…. “Will you not kneel with me. Will you not remember the figure of George Washington kneeling in prayer…. “I, Saint Germain, kneel upon this soil in the very heart of Europe and I pray to Almighty God for the deliverance of all of these nations and of the Isles. I pray for the deliverance of the souls of light…. “Let there now be the attention given to the organization of this company, nation by nation. Let there be the attention to the stumping [outreach and outreach tours] of Europe and the British Isles. And let every light-bearer be given the opportunity to hear my voice and my plea for freedom and for the Union. “I bid you determine a twelve-month cycle and a twelve-month plan. I desire you to look at your hands, your heart, your ability, your background and determine what is your offering to scour, literally scour your nation in search of souls of light! “If you have made effort, then I say, let it be made again tenfold! And if you have made it tenfold, then let it be made again ten times tenfold. “Blessed hearts, we will not leave any stone unturned until the light-bearers are contacted…. “Become pilgrims, mendicants – if necessary. Be as Saint Francis. “Go and sell all that thou hast”¹⁰ and move on the highway of God. The Messenger, Elizabeth Clare Prophet, visited Britain again in 1984, and in 1985 accompanied by a large team, but there were no Dictations. The 1985 visit was a lecture tour of the major cities culminating in a 3-day Seminar for World Teachers at Flevehof, Holland with four Dictations, including Saint Germain once again. And in 1988, students from all over Europe again gathered in Lisbon and then Fatima, Portugal, for a major 4-day European Conference with many Dictations from the Ascended Masters, including Mother Mary at Fatima. During this time the Masters continued to make reference to the Isles and Europe in their dictations given in the USA through Elizabeth Clare Prophet. Due to the amount of material available, we have selected what we feel is the most pertinent to this article. 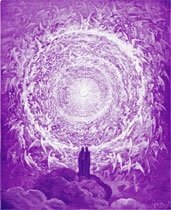 In 1995 the Ascended Masters formed a new Activity, The Temple of The Presence®, through the Anointed Representatives™ Monroe Julius Shearer and Carolyn Louise Shearer. Reasons for the Masters “moving on” and creating new organisations are amply dealt with in another article, http://www.ascension-research.org/history.html . Most of the Board of Trustees of the previous Activity for the Masters within Britain, along with other disciples, saw the authenticity as well as the need for this new Activity, and transferred over within 1999, becoming Torch Bearers of The Temple®. As a direct result of peoples’ positive response to the new Activity in England, in September 2000 the nation was blessed by a full three-week visit from the Anointed Representatives, who had been releasing Discourses and Dictations in the USA since 1995. This included the first Conclave/Conference to be held on British Soil. 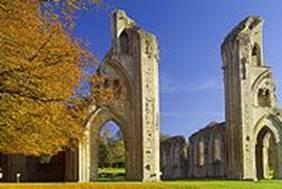 The England 2000 Conclave, “The Matter of Britain and Her Adept Sons”, took place over four days from Friday, September 8 to Monday 11, 2000( )at Gaunts House in Dorset, south-west England (approx. 1.5 hours from Glastonbury). Along with numerous fascinating and illuminating Discourses by Monroe Shearer on past lives of the Masters in the Isles, and the “Matter of Britain”¹², ten Dictations were given through Anointed Representative® Carolyn Louise Shearer and also broadcast live over the internet to the world. 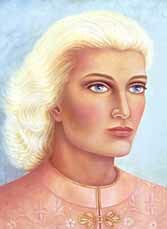 We heard from Beloved El Morya first, and then Beloved Amerissis, Kuthumi, Lady Master Leto, Saint Germain, Mighty Victory, Pallas Athena, Mother Mary, Godfre and Lanello. These were very special Dictations, both for the Isles and Europe, each Master anchoring a specific action of the Light and Their Flame in the physical land of Britain, and giving us very direct instruction on our personal Path and the role we are to play in raising up the Consciousness of the Light of the Ascended Masters - in the Isles, in Europe and beyond. The following are summaries, with excerpts, of the Dictations given at that time. They are not yet all officially edited, so out of respect for this we have summarised the words in places, but always using the Master’s own Words even in our summary. In choosing what to include, we have concentrated more on Teachings specifically about the Isles and the role of students here. Beloved El Morya Dictated first. The Chohan of the First Ray and Chief of the Darjeeling Council, spoke of His love for and connection with Britain - “I AM home and I AM home to stay – if you will have me?” For He was embodied in Britain as King Arthur, Thomas Becket and Sir Thomas More. He brought expanded opportunity and a renewed enthusiasm and sense of purpose for the Path. He spoke of the momentums of His embodiments that are still present within the akashic records of this land and the Joy and Love of His Heart that could hardly contain His desire to do it for us. But it is for us to gain that mastery. We must do it. We are to make Britain come alive! Of the very few present, we would not be alone, as He had already read the record and the inner vow of “many thousands” who are already committed to this Path in this very lifetime. We should mark well our journal, for given five, ten, and fifteen years we would see dramatic change in Europe that we did not even dream would come about. 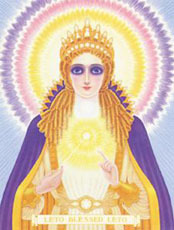 Beloved Amerissis, who is the Goddess of Light and Chohan of the First Secret Ray - and sponsor of King Arthur from Inner Levels as the “Lady of the Lake” - came on the same day, explaining that as the Twin Flame of El Morya, They came with Their God Flame to anchor the Trinity to enhance the further releases to come in future days. She spoke of how she overshadowed the activities of Camelot - to help bring about God Government, God Right Action and the understanding of the Perfection of the Light of God. She brought the Sword Excalibur in the form of Light - for us to grasp in our hand and hold high as the mark of Truth to cleave asunder all the unreality we have entertained for many incarnations – bringing Christ Discernment, Clarity, and an increased sensitivity to the quality of vibration in our worlds. Next day came beloved Kuthumi, prefaced by the meditation music, “You’ll Never Walk Alone”. Embodied at the time of Camelot as Parsifal, and now a World Teacher, Kuthumi spoke on the importance of Friendship. He valued his ongoing friendship over the ages with El Morya – such as when El Morya was embodied as Thomas More and Kuthumi as Erasmus. He spoke of the subtleties of understanding that are required if we are to teach and not have the Heart of another affronted by any substance surrounding the electrons from our Heart that is of the human creation. He spoke of friendships which last the span of time. If we Ascend, and find that a friend has not, there is still the Heart-tie. This is why the Masters know our Heart - many of us have been embodied with them at one time or another. 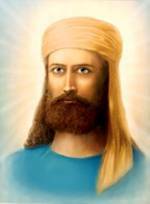 This is why we know of Saint Germain, El Morya, the Maha Chohan. The names are familiar because they are familiar to our Hearts. We know Them intimately and well. But our greatest friendship is with our own God Presence. She spoke of how the Etheric Cities are very practical training grounds – teaching, healing, bringing forth new ideas and ways of thinking, and the expansion of consciousness. Masters such as Herself, El Morya, Kuthumi and Saint Germain maintain Altars and Temples of training there and students from all over the world come to study. Kuthumi is frequently in attendance to the Altar of His Temple, maintained by the Brothers of the Golden Robe. And He “instructs in these Halls on Illumination’s Flame, Wisdom and the understanding of the Pure Heart to bring forth peaceful interaction in all affairs of man…. Profoundly, She spoke of how the Masters desire an action of the Arcing of the Light between this Etheric City and the Etheric City above Tucson that “will be such a pressure of Ascended Master Fire that you will see major change occur the world around.” Eventually this arcing will spread to other areas of the world where there are Etheric Cities and students gathering to hold the Fire. This Dictation by Beloved Lady Master Leto is the clearest and most detailed we have to date as a description of the Etheric City above Glastonbury. (Note: Over two years later, through Anointed Representative™ Carolyn Shearer in Tucson, Arizona, on December 25, 2002, Jesus further spoke of the Etheric Cities: “I look throughout the land and see many Etheric Cities lowering. These Etheric Cities, fourteen in number, are exhibiting a greater release of Light by the Ascended and Cosmic Beings for the benefit of the Earth. Throughout this coming year, you will hear more specifics regarding the anchoring of that Light in the Earth of which I speak. “For you will not be able to move one foot within England, Ireland, Scotland, Wales and yes, even, all of Europe, where I will not have a reminder right there before your eyes that I keep my gaze upon my own. “Yes, beloved, you thought I had gone. You thought I was only in the United States. Well I tell you, I AM not so far away, not any longer! This is why, beloved, you now have work to do. You have already been told, but I shall tell you again so that you will not miss My Word. It is important for these British Isles to have a focus of Light, a foundation of blazing Fire to project this Light into all of Europe, all of the Mediterranean and, yes, to expand this work so that Africa will have a launching point. “Do you not see, beloved, that the British Isles is a major gateway for all of Europe? This is a focal point of the free world, not unlike the United States. It is incumbent upon those of you living here to hold your heads high, to raise your Torches, carrying them proudly, and knowing whereof you speak! You must know your heritage, you must know who you are, you must take to heart all of the stories, all of the history, all of the grand, rich spiritual heritage that is yours and bring it to the fore! “The occasion of our return with the Messengers to England, this land of the angels, has been an important and momentous event. With me, this very night stands my Beloved Portia, El Morya, Kuthumi, and the Maha Chohan. Together We stand shoulder to shoulder so that you might understand that this, our coming, is absolutely important, not just for yourselves, but for the greater whole of England and Europe. Do not always think that what goes on in America is going to be your only means of salvation. “Do not be timid! I abhor timidity! I do not understand why, when a student knows they have an I AM Presence fully capable of handling any situation, there would be any fear of speaking…. “This may seem quite stern language coming from Saint Germain, but I tell you, beloved, I know the English temperament well, and I know that you do not motivate easily. The Flame of my Heart desires for you to understand that there is abounding Love right within your own God Presence that desires to expand throughout this land and to do the work that you came to do…. “The Light that you can invoke and expand here in this bright land of England will be a very important key to the International Headquarters in Tucson. How is this so? We have not spoken much of the Great Etheric City over Glastonbury. Beloved Leto gave you a glimpse, but I tell you that the arcing over the Atlantic, spanning over most of the United States, will be a tremendous Arc of Light most necessary to reinforce all that the Masters desire to accomplish. For yes, we have deposited a tremendous investiture of energy within this area of the world. The British Isles will be key indeed in releasing Light, a Light that will not be hid, but will be a flame seen round the earth…. This England is most important indeed…. “Beloved Hearts, We have sent forth this Ascended Master Activity, The Temple of The Presence, so that it can be a canopy for Truth. You are called upon to organize yourselves, not unlike Liberty’s Temple in New York, to hold a focus, to have representatives who are responsive to the Hierarchs of the Threefold Flame, and to come together to manifest certain works, to plan, to commune, to be a family. Yes, you are scattered about to the four winds at this time, but that need not be forever. For there are Torch Bearers coming who will join your ranks and they will swell the smaller groups to larger groups until you will be able to bring those larger groups together. “I desire your Heart Flames to nourish this land. The collective talent is here, the Causal Body Momentum is here, and the Love for God is also here. I know this to be true and I see the record of the many lifetimes you have given your all. Now is the time to give your all toward your Ascension. Moreover, in so doing you will free others. You will bring Freedom’s Flame to this land, as it has never been present before…. “Now is that very time! You are here and there are other Lightbearers who will join you. You will not be alone. For I know who they are. They only need to recognize this Light and their Hearts will be afire for this work. Great things can come, but it does require your acceptance of the responsibility. It requires that you desire to make it happen. We, in the Ascended Master Octave, can only go so far and then we must wait until there is a corresponding action that comes forth from the Hearts of those of you in embodiment. The Cosmic Being, Mighty Victory, came with an entourage of His legions of Angels and Lightbearers, who have won their Ascension, to anchor the Light of the Great Central Sun in this part of the world so that there will be a magnet to draw those lightbearers who have a propensity for the Path, who already grasp freedom and are ready to know Victory. For it is not enough that the Anointed Representatives would only be in the Americas. But it is also necessary, Victory said, that there be the lightbearers to help support that Flame once the Anointed Representatives move on to another part of the globe. This would produce the magnet to bring forth those who will assist us, to bring about the community, and camaraderie, and the support of Light. He taught on the inner Science of Victory, of having no doubt. He explained that it takes more than one lightbearer, more than just one convening of lightbearers. It takes many times regularly. This is why He was requesting that the Anointed Representatives come to this land on a regular basis. “But it takes your support in order to do this.” He said that if disciples do not maintain the Flame, why would the Masters come, indeed? On Monday, 11 September, the final day of the Conclave, four Ascended Masters Dictated in a row. Pallas Athena spoke first. 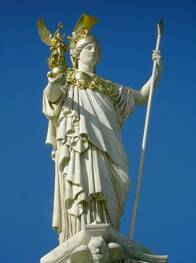 Pallas Athena has a strong tie to the British Isles. This Goddess of Truth and member of the Karmic Board sponsored Francis Bacon and his circle of Elizabethan authors from Inner Levels. This was the Goddess to whom Francis Bacon plighted his troth as a youth. She guides and assists in the bringing forth of Golden Ages. 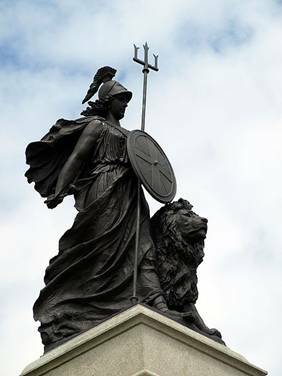 Britannia, such as represented until recent years as a female figure on the back of British coins, is a representation of Pallas Athena. Certainly it can be seen that the Brotherhood of Light chose most carefully and with very good reason which ten Masters would give Dictations during the Conclave. She and the Masters had come to this part of the world, so that British students will be reminded that She and They are here, and that They will continue to give the needed support, direction, illumination and comfort. 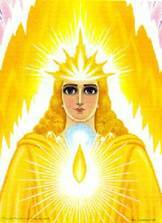 The Goddess of Truth trusts that we will envelop our entire life, our entire community, and the entirety of Europe, in a regular saturation with the Violet Flame, so that we can see the miracles of the Resurrection in this part of the world. There is great creativity to come forth from this part of the world, Pallas Athena said, which should be tapped, released, and expanded across the Earth, “for the Earth needs your gift of Love”. In a profound Teaching upon Healing, Mother Mary explained how the Heart is always the key to Healing, since it is untouched and pure despite any overlays. She taught on healing karma and karmic circumstances. Patience in applying the Violet Flame is needed, since for how many lifetimes might there have been the build-up of misuse? Mary recognises that in the physical plane, illness can bring pain. How to be still to reach the Heart at its Purest Core to bring forth and have faith in healing during pain? “….this process takes great mastery. You will have to trick your mind. You will have to still your emotions, and you will have to elevate your consciousness to your Holy Christ Self. It can be done.” Healing, Mary told us, is Her greatest joy. She spoke also on the untangling of karmic relationships. Early on, Godfre emphasised the words, “This is how you do it.” As the Messenger in his final embodiment for the “I AM” Activity, He knows well and is experienced in how a group of Ascended Master students can function, grow, and succeed. So His instruction was point by point (as He even said), and extremely practical, on how students should relate, work, and come together in finding and nurturing new students, building Groups, and keeping harmony. He explained that in bringing forth a new community of Light under the canopy of the Temple, it requires Loyalty to the Flame of God, to the Truth, to our own God Presence and the Ascended Master Vibration. Godfre spoke of how we ourselves are the greatest public relations for the Ascended Masters - how we conduct our life, how we keep our home. And He said that the greatest way to share the Teachings is by example and one-on-one. We will build community by building genuine friendships. Each Altar Group, Temple or mandala will, by design, have a focus for their attention, of differing God Qualities. The Group may have a passion for outreach; it may be a focus on a particular aspect of the Teachings. It is up to us to discover it. But in integrated group meetings, combining new people with experienced disciples, there must be a balance that must be maintained for all. Godfre asked: “What of the new ones that come? They need far more patience and compassion. It would be harmful indeed to brush over the fullness of the Teaching, plop them into our sanctuary and say, ‘Now you are ready.’ Why not set aside a programme where there is one who desires to do this work, one who loves to give of themselves to the new student, and never tires of teaching the fundamentals, having compassion for any question?” He said that it is not enough to consider that it is a victory that many come if they do not stay. And if they do not stay, to look at what might be wrong with the group internally. People will stay if we hold the Fire and develop a programme of meetings and topics which hold their interest. Godfre observed that far too many within the English land hold very dear to the ego. It is time for that to become the Divine Ego. Pride and ego have stood in the way of many having the expansion of a group effort and have allowed for the disintegration from within. He encouraged the offering of assistance to anyone in a leadership position. And for that one at the helm to be willing to receive that assistance. This is called co-operation, assistance, community. This allows for all to participate, to have a proactive role, for within that activity there is creativity and a flow of Light and engaging of the Mighty I AM Presence, which makes a group effort victorious. Immediately following Godfre, beloved Lanello came to close the Conclave. Just as Godfre was the Messenger of the “I AM” Activity, so Lanello, as Mark Prophet, was in his final embodiment a Messenger for The Summit Lighthouse® until his Ascension in 1973. So two former Messengers came to conclude the Conclave. Lanello, who is also the Chohan of the Second Secret Ray, spoke on His understanding of what is meant by sacrifice and surrender – “I do understand that there are those who would hold fast to an old garment rather than don a new because the old was comfortable.” That the land of Britain is precious. “It holds within it the opportunity, the Light, to be expanded.” Even when the Anointed Representatives are not present in Britain, He said, the Light will be there so long as there is an anchor point to receive it. “This is the great work to be carried on…. “There will not be fractionalisation of the communities but there will be a connection, and one community to another will communicate and they will keep that Arc of the Light nourishing the Land in between. This is how you knit together an Ascended Master Activity across the Earth – by communication. And it is not the mere abstract, impersonal: it becomes very personal indeed. You know the individual at the other end of the ’phone or of the wire. You know the Heart Flame. You know the subtleties. You know when their vibration is down and they need a boost…. “It is my desire that these British Isles that I so dearly love, and yes, my own homeland of France, will be nurtured by this Light, and that you will take this Light into France and Germany, and on, and you will reach those lightbearers who are so ready to hear this message…. “Now it is time for the Glastonbury to manifest the fullness of all it is to bring forth. Far too long was there the misuse of Light, and there was remaining only a trickle of the initial Fire that was to be released in this area. Not because there were not lightbearers worthy, but because there were not sufficient numbers to hold the balance, and the misuse that continued on and on throughout the centuries of black magic and witchcraft of the use of that pure Fire, the elemental essence of God coming forth…. It is not sufficient to have that continually wasted, and funnelled off into the astral plane. “Therefore I charge each one of you within the British Isles to hold the responsibility for this Fire that we are anchoring throughout, not only this weekend, but most especially in this day. For today I reactivate a Pillar of Fire within this forcefield…. And we ignite this Fire so that you, beloved, will have a true focus of Light with which to gravitate to. And your sons and daughters, your grandchildren, will know that that Light continues and remains in the Earth because you have held the balance for it. “You are manifesting the Victory of its protection, and you are continuing to nurture the Flame upon the Altar of your Heart, and emanate that Light that will move out and ripple out into all of Europe, and on and on, yes, beloved, until it will cover the entire Earth…. “Anchored within the Earth there is a Pillar, beloved, between the Great Central Sun and the Sun of Even Pressure in the centre of the Earth, and that Pillar will continue to nourish this Focus of Light that we are activating this day. Yes, My Beloved, the Goddess of Light, stands with Me, and We send into the Earth that Pillar of Fire that will come forth as a Fountain of Fire, and a vortex of Fire that will Light the Earth from this vantage point. “And each time there is a son or daughter of God that has a Threefold Flame that comes into this area, they will look at the Chapel, they will look at the Tor, they will look to the Chalice Well and all of the other focuses, but they will find right here in this very forcefield that magnificent Fountain of Light. And you will see that it will maintain its intensity as long as the lightbearers continue to do their work. “This Glastonbury gets attention around the world. And why is this? Because of the Etheric City that is manifesting over top of Glastonbury radiating out throughout the British Isles. And I tell you, beloved, it is not a small matter indeed, for within the proximity of every Etheric City there is the opportunity for the lightbearers to garner a greater understanding of the Law…. “I tell you, Beloved, that it is a joy indeed to stand in this atmosphere, to hear the birds, and to see the beautiful green, and to know that the Light of God is burning brightly once more in this area of the expanded Camelot… For all have adopted Camelot, all have acquired the God-Vision of Camelot and you will continue to allow that Vision to be nourished. “You will continue to allow the stories of, yes, King Arthur and the Knights of the Round Table to go forward because they carry the Mysteries. And you will be able to explain those Mysteries, and bring about the clarification of why those trials and tribulations worked, why they didn’t, and where there was the downfall, and where there were the victories. It is an opportunity for you to wax with Wisdom and the understanding of the Law to tell those little ones of the great stories of honor and glory and respect. This is your opportunity to bring fully and completely the manifestation of the Light of God through the stories, through the Plays, through the artistic development, and yes, do not forget the music. People will remember music and song when they forget all else, because the song carries the rhythm, and the rhythm carries the tone and the tone carries the vibration. This is most important indeed for carrying on the traditions – not unlike the troubadours of old. “But I tell you, beloved, the Vibration, the release of Light, and the understanding of My Message is most important for each of you to garner. And you should have a recording of this as soon as possible so that you can play, re-play, and re-play again within these British Isles this Dictation, and be galvanised to this release of Light. “And I now, El Morya, release that Light! And the Goddess of Light releases that Light! And It does pour forth into the Earth. And there is a magnificent outpouring of the Great Central Sun Light and the Emerald Ray coming forth as the focus point of that Light! On Thursday, 14 September, 2000, everybody travelled by chartered bus to Gorhambury, outside St. Albans (near London), which was the home and working hub of the Master during his final embodiment as Sir Francis Bacon. The Temple of The Presence intends to construct a new, larger Headquarters at Tucson, “The White Temple”, based upon the original design of Bacon’s Gorhambury home - but in an expanded and modern fashion. The original house is now ruins, but as everyone sat on the grass or upon the remaining walls, Beloved Saint Germain came forth in such an intimate manner. Carolyn was seated on a ruined wall, and no amplifying microphone was set up. But suddenly the Master was speaking through her, so unexpectedly to some that they had to quickly shift nearer to hear. “Ladies and Gentlemen of the Flame, welcome to my home. I have long waited for the time when you could come and visit me…. And as you walk these grounds, know full well that you take with you the record of all that transpired here, all those who came to work with Me…. The Light is not as strong here as in The White Temple that you resurrect…. But what you connect with here is My Flame, and you connect with the momentum that I have established. “Understand, beloved, that it is not the time or the cycle to simply tarry with the old. It is time for you to take the best of the old and to move into the future, for you have a great future to bring in – the Golden Age…. The Ascended Masters have indeed given us a wonderful legacy of Light, Fire and Momentum to enrich our lives and our personal spiritual journey - both in Their Words to us and in the physical anchoring of Their Light in the British Isles and Europe. Taken in their entirety, these Dictations and Teachings weave a glorious tapestry of practical keys, inspiration, vision and hope for students and disciples in the British Isles and Europe to take into their Hearts, internalise, and become. The excerpts given here are necessarily brief, presenting only a partial picture, and we have hardly been able to do justice to the Masters’ Words. But we hope that they convey a spark that will set Hearts afire in the British Isles, in Europe and elsewhere - to take forward the Masters’ Vision for the Dawning Golden Age of Saint Germain - as we play our part, individually and collectively, to bring it to pass. 1. Saint Germain, September 13, 2000 (the Dictation was actually on the 10(th)), Gaunts House, England¹⁴. El Morya at Glastonbury Abbey (which He said we should play, re-play, and re-play again) and Saint Germain at Gorhambury¹⁶. 1. The British Isles are a group of islands off the northwest coast of continental Europe that include the islands of Great Britain and Ireland and over six thousand smaller isles. There are two sovereign states located on the islands: the United Kingdom of Great Britain and Northern Ireland (commonly known as the United Kingdom) and Ireland (also described as the Republic of Ireland). 2. The Mahatma Letters to A.P. Sinnett, transcribed, compiled, and with an introduction by A.T. Barker, Theosophical University Press, 2(nd) ed. 1926 (also available online). 3. A.D.K. Luk, Law of Life & Teachings by Divine Beings, Book II, p.279, ©1978, A.D.K. Luk Publications, reprint 1994. 4. Footnote to official notes from The Summit Lighthouse® of Sanat Kumara’s Dictation of October 7, 1979. 5. Sanat Kumara, “Our Torch of Love”, October 7, 1979, official notes from the Harvest Class 1979, “The Torch Is Passed 1”, Copyright ©1979 The Summit Lighthouse®. All rights reserved. 6. Sanat Kumara, “The Vow to Save the Woman and Her Seed”, November 11, 1979. Pearls of Wisdom,® 1979. Copyright ©1979 The Summit Lighthouse®. All rights reserved. 7. Mother Mary, “I Return To Glastonbury”, pub. October 19, 1980, Pearls of Wisdom® Vol. 23, No. 42. Copyright ©1980 The Summit Lighthouse®. All rights reserved. 8. Saint Patrick, “Montessori International Graduation June 1980: The Resurrection of Our Youth”, pub. November 2, 1980. Pearls of Wisdom® Vol. 23, No. 44. Copyright ©1980 The Summit Lighthouse®. All rights reserved. 9. Saint Germain, “The Mosaic of Life”, pub. July 5, 1981, Pearls of Wisdom® Vol. 24, No. 27. Copyright ©1981, 2001 The Summit Lighthouse®. All rights reserved. 10. Matt. 19:21; Luke 18:22. 11. 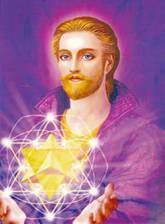 Saint Germain, “Light-Bearers of the World, Unite!” July 31, 1981. Official transcript copyright © 1981, 2001, The Summit Lighthouse®. All rights reserved. 12. The Matter of Britain is a name given collectively to the body of literature and legendary material associated with Great Britain and its legendary kings, particularly King Arthur. It was one of the three great literary cycles recalled repeatedly in medieval literature, together with the Matter of France and the Matter of Rome. 13. 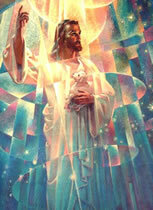 Jesus, December 25, 2002, copyright © 2002, The Temple of The Presence®. 14. Saint Germain (untitled), September “13” (actually given on the 10(th)), 2000, The Voice From The Temple™, copyright © 2000, The Temple of The Presence, Inc®. 15. 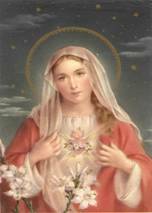 Mother Mary, “The Light of the Heart Is the True Healer”, September 11, 2000, The Voice From The Temple™, copyright © 2000, 2004, The Temple of The Presence, Inc®. 16. 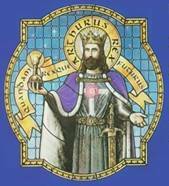 El Morya (untitled), September 13, 2000, together with Saint Germain (untitled), September 14, 2000, CD 000913.1SE. Copyright © 2002, The Temple of The Presence, Inc®. All unreferenced Dictation extracts from 2000, through the Anointed Representative® Carolyn Louise Shearer, are copyright © 2000, The Temple of The Presence, Inc®. All rights reserved. David Tame lives in England and is the author of The Secret Power of Music (Destiny Books, USA, 1984), Beethoven and the Spiritual Path (Quest, USA, 1994), and Real Fairies (Capall Bann, UK, 1999). He first discovered the stream of Ascended Master Teachings while in India in 1975, and in 1981 became co-founder of the English registered charity, The Summit Lighthouse® (UK). He is presently associated with The Temple of The Presence®. Faith Collingwood lives in England and has been a student of the Ascended Master Teachings for over 30 years. She was a Trustee of the Summit Lighthouse (UK) Charity at various times between 1985-1999. She is presently associated with The Temple of The Presence®. Both David and Faith welcome correspondence, which should be directed to them through the webmaster of this site.